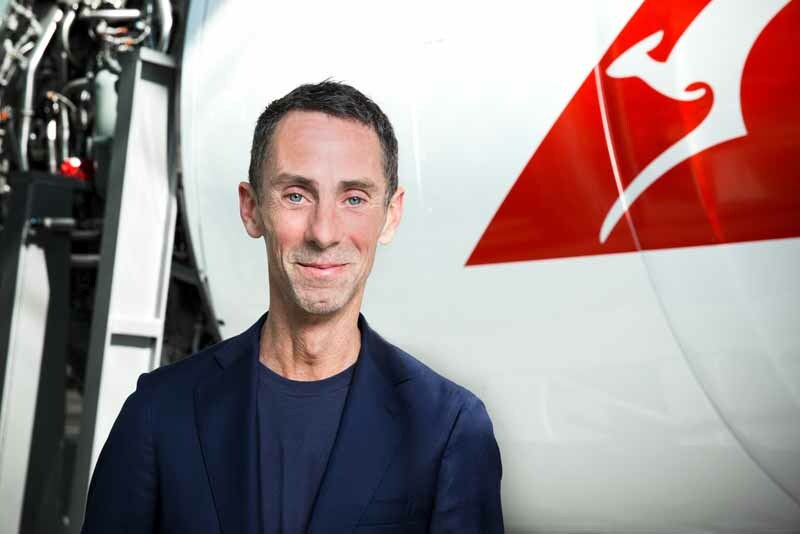 PARIS, Apr 16, 2015/ — After designing the uniform of Qantas cabin crew and ground staff, Paris-based Australian designer Martin Grant now sets his designing eyes to the airline’s 2,500 pilots for whom he is creating new uniforms, too. “Every Qantas uniform over the past 95 years reflects its times and we’re excited to work with Martin on a new design that reflects modern Australian style as well as the positive things happening at Qantas,” said Qantas Group CEO Alan Joyce. “A key part of the design process will be asking our pilots what they would like to see in the new design. With an increase in the number of female pilots in the Qantas ranks, the design of the female uniform will also be a focus,” added Mr Joyce. Martin Grant said he was excited by the opportunity to design what will be the first new uniform for Qantas pilots in more than a decade. “The reputation of Qantas pilots speaks for itself, so it’s a real honour to be asked to work with them to create their new uniform. I want it to be comfortable, stylish and most of all, distinguished,” said Martin. “Early feedback from Qantas pilots is that they want to retain the traditional image but give it a modern makeover to be more elegant and more wearable. The female pilots are also hoping for a more feminine line so I will have that front of mind when I begin the design stage,” added Martin. Qantas Chief Pilot, Captain Richard Tobiano, said while pilots are often unseen in their “office”, they take great pride in wearing their uniform and also place a great emphasis on comfort. “The current uniform has served us well but after wearing the same thing every day for more than 10 years, we’re ready for a change. Given we spend up to 16 hours at a time on an aircraft, there’s a big focus on comfort and durability as well as reflecting our professionalism,” said Captain Tobiano. Over the next few weeks Martin will host focus groups with representatives from the pilot community to get their feedback on what they would like to wear in terms of design, practicalities and comfort. He will also travel across the airline’s domestic and international network for inspiration and join Qantas pilots in a flight simulator to understand the dynamics of the pilots’ working environment. Qantas aims to have its pilot community wearing a newly designed uniform during 2016.